However, the election did not result in a decisive parliamentary victory for the New Democratic Party. Instead, while the NDP and Green Party won a combined popular vote of 57.10% (40.25% and 16.85% respectively) to the ruling Liberal Party’s 40.38%, this resulted in a near tie in seats. The 87 seats in the BC Legislature, under the first-past-the-post system, are now divided between 43 for the former ruling Liberal Party, 41 held by the NDP, and 3 occupied by the Green Party. The NDP managed to reach a 4-year agreement with the Green Party to form a minority government with 44 seats. This may prove to be unprecedented. Previous minority governments in Canada have not held together for more than two years. The parties involved remained in election mode. If a left agenda is to go ahead, it will have to proceed quickly. As elsewhere in Canada, workers and the poor in B.C. have been suffering. Students are burdened with debt, people have been priced out of their homes, renters face unprecedented rent increases, seniors face poverty in retirement, workers work harder for longer hours without a wage increase, and precarious employment abounds. Not surprisingly, the desire for change is widespread. 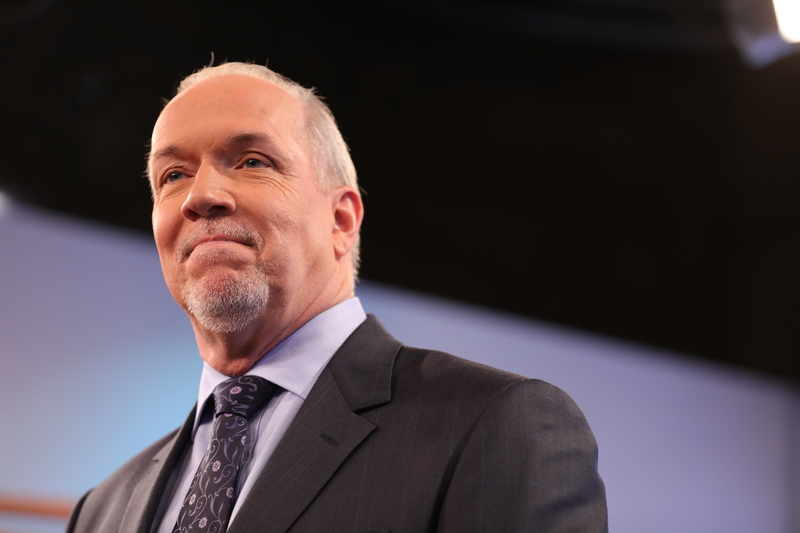 The NDP pledged to increase the minimum wage to $15/hour, freeze ICBC (government car insurance) rates, freeze B.C. Hydro power rates, eliminate medical insurance premiums, improve renters’ rights, stop the runaway prices of real estate, reinstate the Vancouver School Board (trustees were fired by the Liberal government for refusing to implement cuts), and introduce $10/day childcare. The NDP also promised electoral reform and to hold a referendum on proportional representation, to implement electoral finance reform including eliminating corporate and union donations to political parties, and place a cap on individual donations. The NDP also pledged to stop construction of the Kinder Morgan oil pipeline, to put the Site C Dam before the B.C. Utilities Commission for review, and to deliver carbon tax rebate cheques to citizens. The party also promised to create 96,000 jobs in infrastructure spending including on new roads, schools, hospitals and carbon emissions reduction up-grading. While it is a tall order for a minority government, it reflects the mood in the province. Towards the goal of creating a stable legislature, the NDP signed a “confidence and supply” agreement with the Green Party whereby the Greens pledged to support the NDP for four years in parliament. The Greens have agreed not “to move, nor vote non-confidence” for the next four years, to have all their elected members at all sittings of the House, and to vote in favour of all confidence motions, including the overall budgetary policy of the government. At the time of writing, the official transition of power to the NDP with Green Party support is expected to begin in early July. The position of Speaker of the House will be difficult to fill, as the speaker breaks tie votes in the legislature. If the Legislature dissolves, the province would head towards another election. It could result in a sweeping victory for the NDP. This is the first time in decades voters in B.C. endorsed a left program, albeit one that seeks to reform capitalism in crisis, rather than opt for socialism, but it will be an important experience. Workers and the poor in B.C. have decided that austerity has to end and a sweeping set of changes must be put into place to turn the economic situation around.